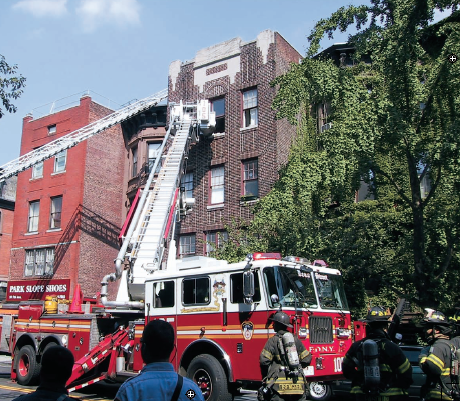 On 15 of its vehicles, New York City Fire Department (FDNY) can now automatically see which firefighters are nearby via the department’s onboard computer and then relay that information to the city’s Operations Center. The system was invented by David DeRieux of the U.S. 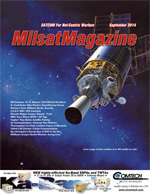 Naval Research Laboratory (NRL) Space Systems, along with Michael Manning of Manning RF and in close partnership with FDNY. New York City Fire Department uses a U.S. Naval Research Laboratory (NRL) system to automatically track firefighters. “That’s the intention with this device, to make sure everyone’s accounted for,” said David DeRieux, one of the inventors. New York City Fire Department uses a U.S. 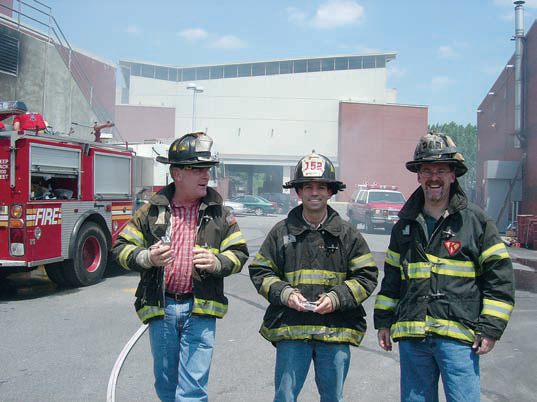 Naval Research Laboratory (NRL) system to automatically track firefighters. “That’s the intention with this device, to make sure everyone’s accounted for,” says David DeRieux, one of the inventors. 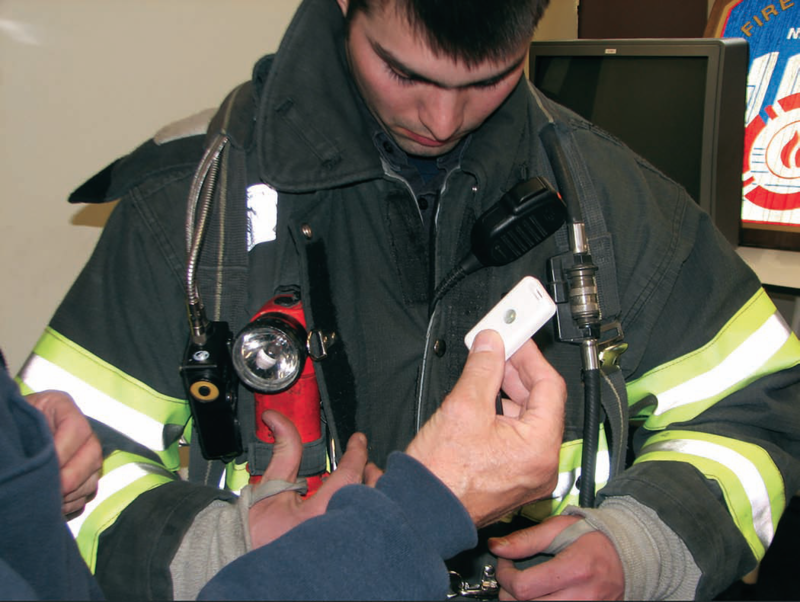 The NRL worked with firefighters to determine where to add the RFID pocket. 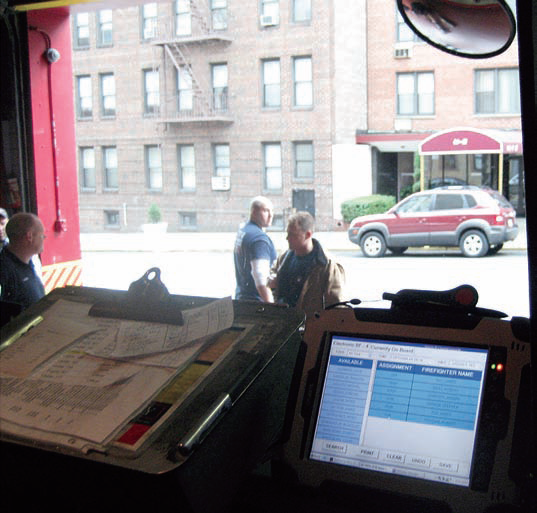 The MDT also sends this accounting to the FDNY Operations Center in Brooklyn, using a commercial modem. “They actually have a massive display, twice the size of my wall,” said DeRieux, “and on there this data gets projected. So they know what truck just showed up on scene, who was on the truck.” To coordinate personnel during a city-wide disaster, this real-time information would be unimaginably valuable. “During 9/11 there were thousands of firefighters, it was a big problem,” said DeRieux. 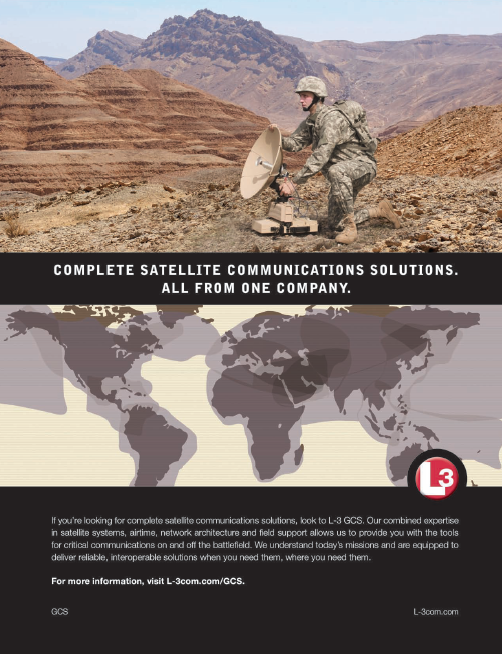 A separate avenue of research, particularly if NRL were to put a new system in another city or perhaps aboard a naval ship to track fire control teams, would focus on improving the hardware. 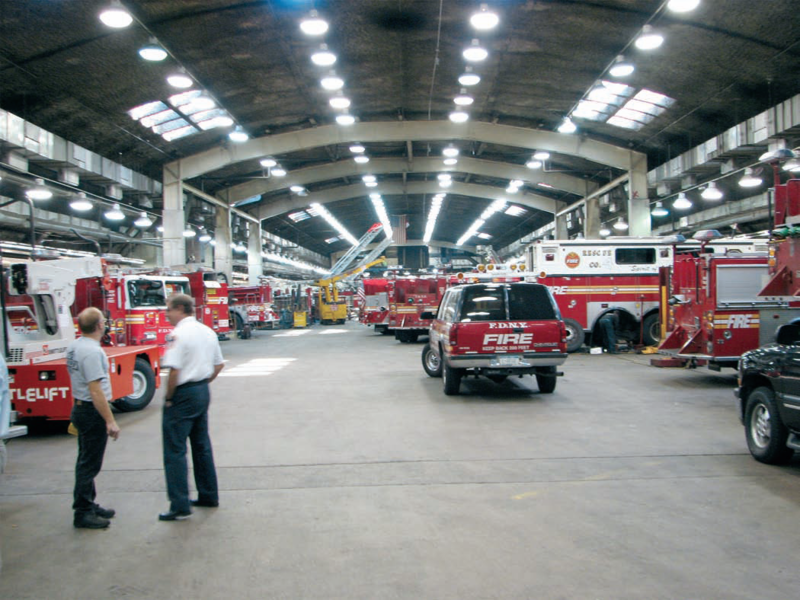 “We started implementing this system in 2007,” said Arthur, “and everything’s come a long way since then.” Today, there are passive RFID tags that, unlike FDNY’s system, can last indefinitely. They’re also ruggedized and wouldn’t have to be removed before laundering. 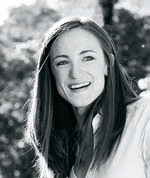 Kyra Wiens is a Public Affairs Specialist for the U.S. Naval Research Laboratory (NRL). She’s written about the lab’s achievements in alternative energy, biochemistry, space science, and more. She’s also an All American triathlete.